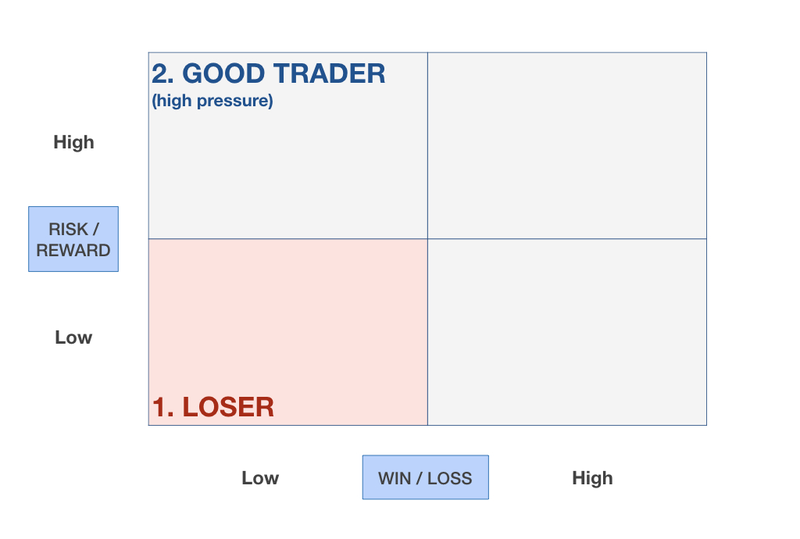 Risk-Reward and Win-Loss ratios are key values when it comes to Trading. 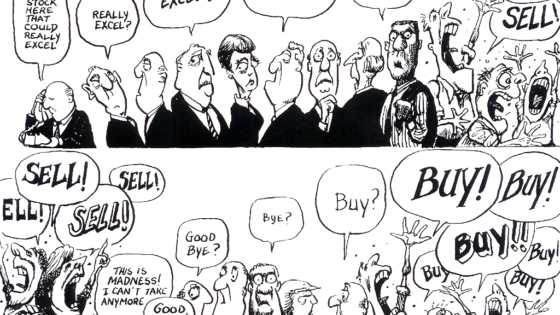 By combining them together you can quickly discover what type of trader you are. Once you have a clearer picture of where you stand right now, you can then understand how to refine your current Trading Strategy and improve your overall Trading Performance. The Risk-Reward ratio is the capital you stand to lose (risk) in order to obtain a specific profit (reward). If your Risk-Reward is 1:3 it means that you are willing to lose 1 in order to gain 3. For instance, if you risk $1,000 then your expected return is $3,000. The Win-Loss ratio, also known as success ratio, is instead the number of winning trades in respect to the number of losing trades. In mathematical terms, the formula is the following. Assuming you made 30 trades of which 18 you won and 12 you lost, then your Win-Loss ratio is 18/12 or 1.5. This means that you are winning 50% more trades than you are losing. You can also easily derive your Win-Rate and Lose-Rate. The Risk-Reward ratio tells you how much you will earn based on how much you are willing to lose. The Win-Loss ratio tells you how many times you will win in respect to how many times you will lose. Taken singularly, the Risk-Reward and Win-Loss ratios are two essential parameters when it comes to Trading. However, when you combine them together they are able to tell you what type of trader you are and how well (or bad) you are doing your job. 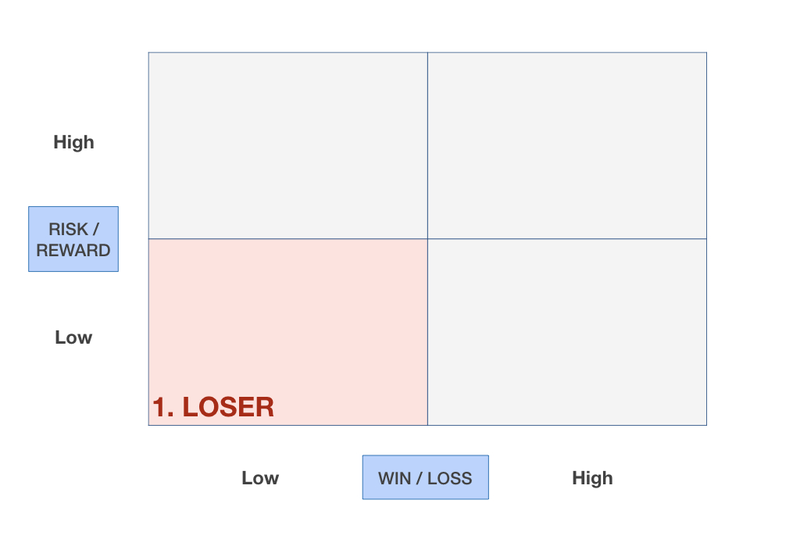 Let’s create a matrix with Risk-Reward on the y-axis and Win-Loss on the x-axis. 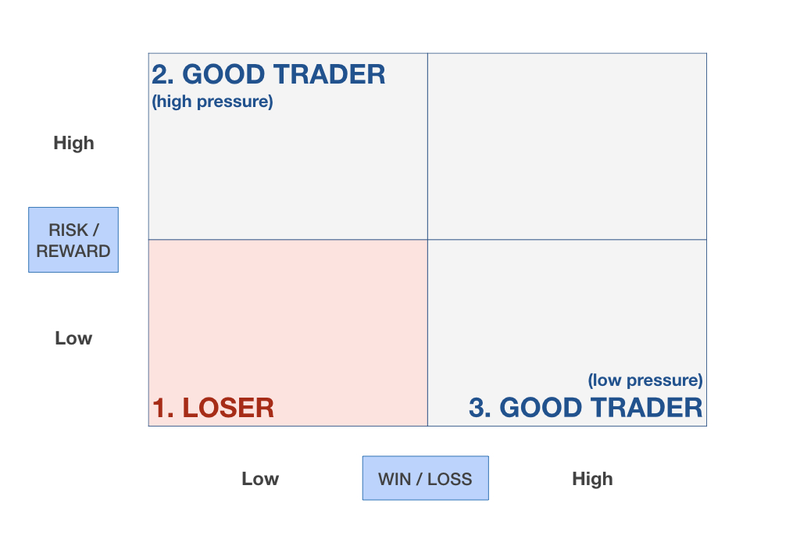 What we obtain are 4 distinct categories each one corresponding to one type of trader. So, which type of trader are you? You are losing a lot of money so you should immediately stop trading. On a pshycological point of view it is tough but it’s hard to admit you’re wrong. You need to change your whole approach to the Market. You take many losses but when a win comes it exceeds all the previous losing trades so that you can progressively grow your capital over time. On a pshycological point of view it is really demanding because you are mostly losing rahter than winning. You don’t expect big wins but a consistent numbers of small wins. Returns below 1:1 are ok because you consistently grow your account, trade after trade. On a pshycological point of view it is very relaxed because you win most of the times and so you build confidence in your strategy. You consistently grow your capital at a medium-high pace. On a pshycological point of view it is great because you win most of the times and so you have full confidence in your strategy. You now know what type of trader you are. If you are a Losing Trader (1), then let us know how we can help you. You need to change, quickly! 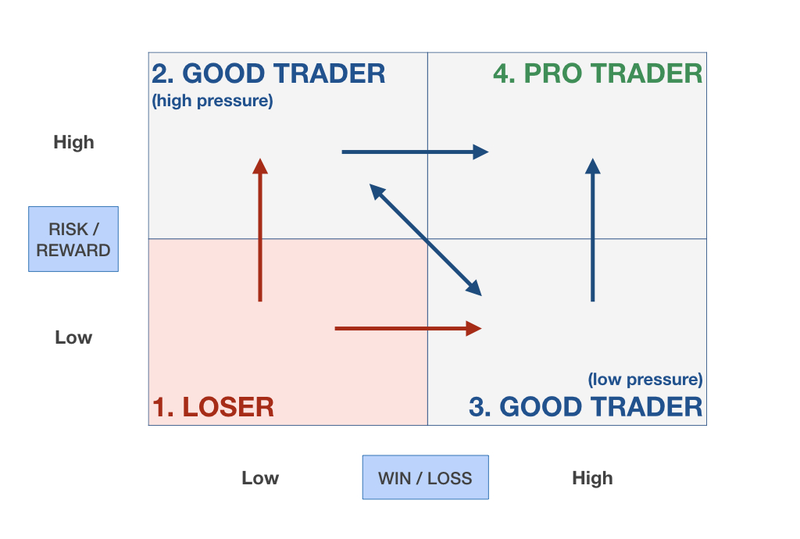 If instead, you are a Good Trader (2, 3) or a Pro Trader (4), then you’re already doing great! But it doesn’t mean you should stand still and don’t improve further. Your losing streak is impressive and you can’t find the way out. You are about to give up. You have everything to gain and nothing more to lose. By rethinking your approach to the Markets your Risk-Reward and your Win-Loss ratios will both benefit and you will end up becoming a Good Trader (2, 3) sooner than you think. Just let us know your situation. We’ll help you find a way out! There is not a single way to be a Good Trader. In fact, as we discussed above, you could be a Good Trader with totally opposite Risk-Reward and Win-Loss ratios. However, just because you are either in quadrant 2 or 3, doesn’t necessarily mean you should stay there forever. That’s when you want to move from 2 to 3 in order to have a more relaxed approach to trading. What you need to do is to adjust your setups in order to be less risky (lower Risk-Reward) but more consistent (higher Win-Loss). On the other hand, what if your current trading is filled with boredom? If you perform better under pressure, then you need to shift to more rewarding opportunities (higher Risk-Reward) by maintaining consistency under control (lower Win-Loss). It’s not easy but every trader regularly moves along his personal learning curve. Don’t know how to do that? You can let us know and we’ll be happy to support you! If trading is your profession, then your ultimate goal is to become a Pro. It’s not an easy thing for sure, but everything is achievable. Just split the big goal into many progressively harder sub-goals and you will end up becoming a Pro sooner than you initially expected. Some traders reach full maturity in a few months, some others require years of trading in order to gain the necessary experience. And when you do, you will consistently grow your capital by trading stress-free. 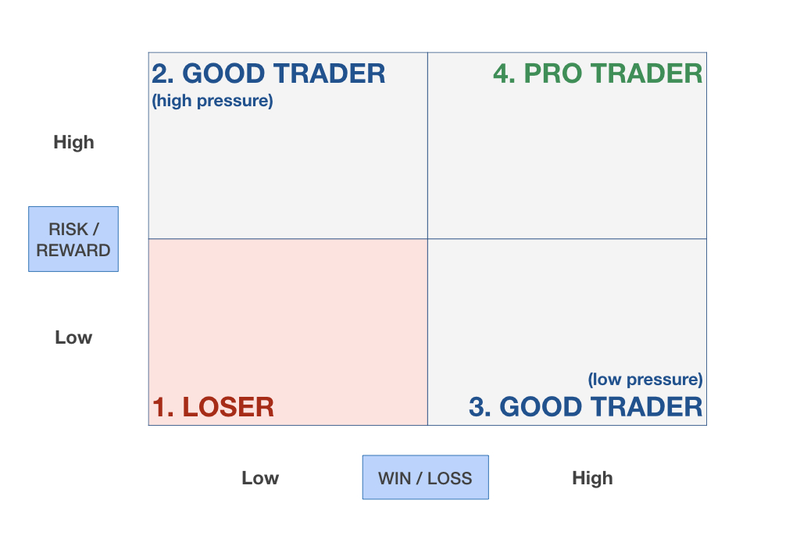 So, which type of trader are you? Loser, Good or Pro? We’d love to hear that and let us know how we can help you become a better one. Discover our famous Trading Indicators for TradingView. Follow our profile on TradingView, like and comment our ideas. Receive top educational news, trading tips and more!